BERLIN (Reuters) -- Fiat S.p.A. has improved its bid for General Motors' Opel unit and said other bidders may be willing to sweeten their offers as well, German Economy Minister Karl-Theodor zu Guttenberg said. "Interestingly, Fiat has improved its offer once again and we've received a more thorough blueprint from them in the last few hours," Guttenberg told a group of journalists on Saturday. "We're sensing a willingness to negotiate further from all sides," Guttenberg said while not ruling out the possibility of a structured insolvency as well. 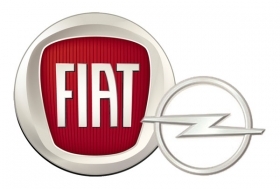 Spokesmen for Fiat and GM Europe declined to comment. The GM spokesman also declined to comment on a report by the Financial Times on Saturday that China's Beijing Automotive Industry Corp. has also expressed an interest in buying a stake in Opel together with the rest of GMs European operations. "We welcome any kind of interest," the GM spokesman said. Beijing Automotive sent a letter expressing interest in Opel to Commerzbank's Dresdner Kleinwort unit, which is advising GM on the stake sale, on Thursday -- a day after a bidding deadline passed, the Financial Times said, citing two people close to the deal. Beijing Automotives offer was described as an expression of interest rather than a formal bid, and is unlikely to move forward, one of the sources said. Canadian auto-parts supplier Magna International Inc. has been portrayed as a favorite to acquire Opel after top German officials said Magna had submitted a better plan than rival bidders Fiat and Belgium-listed industrial holding company RHJ International. Magna co-CEO Siegfried Wolf laid out the company's Opel blueprint in detail on Friday, vowing to retain all four Opel plants in Germany and to avoid mass job cuts, key criteria for politicians ahead of a federal election in September. Magna's plan also envisions raising output at Opel's main plant in Russelsheim to 250,000 cars per year, from the 160,000 currently produced, despite a reduction in staff. German weekly Der Spiegel reported in an advance of an article to appear in Monday's edition that Magna wants the government to at least partially cover some of the 3-billion euro pension obligations. But a government source said Magna had shown itself flexible on the issue. "We cannot confirm that report. Magna representatives made it clear that the question of how to deal with Opel's pension obligations were not a prerequisite for the Magna offer," a person familiar with the negotiations told Reuters on Saturday.